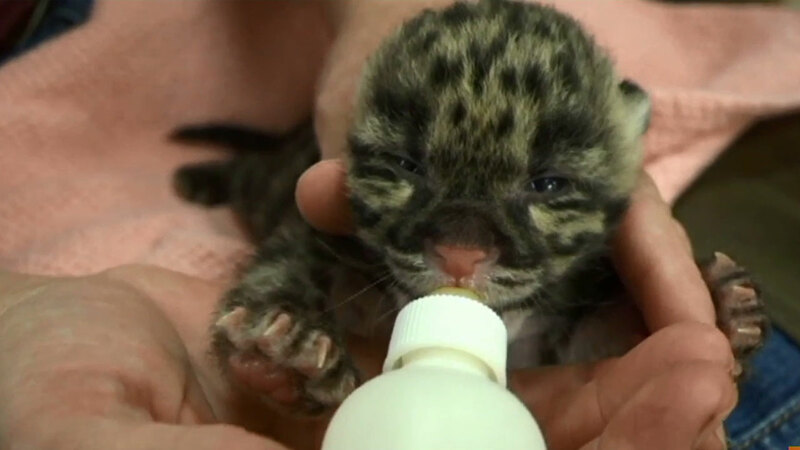 TAMPA, Fla. -- The Lowry Park Zoo in Tampa showed off its latest additions - rare twin clouded leopard cubs that were born on Feb. 29. Unfortunately, the cubs' mother rejected them and now it's up to zookeepers to feed the male and female babies. The pair weighed about 10 ounces each at birth and now weigh close to a pound. They are being kept behind closed doors. There is no word on when they'll make their public debut. Clouded leopards primarily live in tropical rainforests in Southeast Asia. The species population has dwindled due to destruction of its habitats and human poaching.